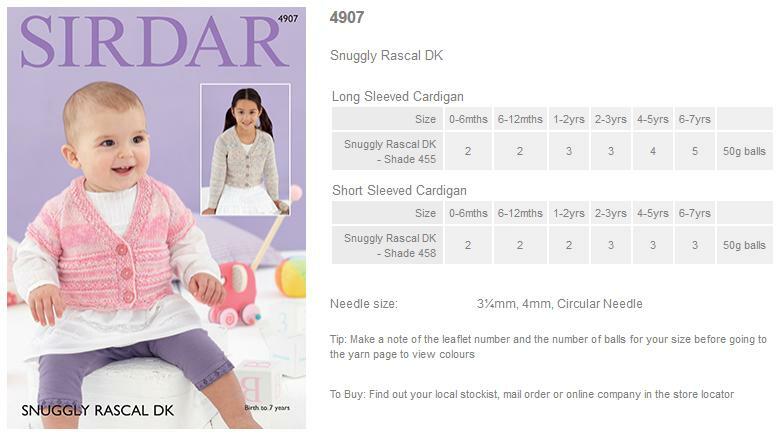 4907 - Long and Short Sleeved Cardigans using Snuggly Rascal DK Leaflet with designs for Long and Short Sleeved Cardigans using Sirdar Snuggly Rascal DK. 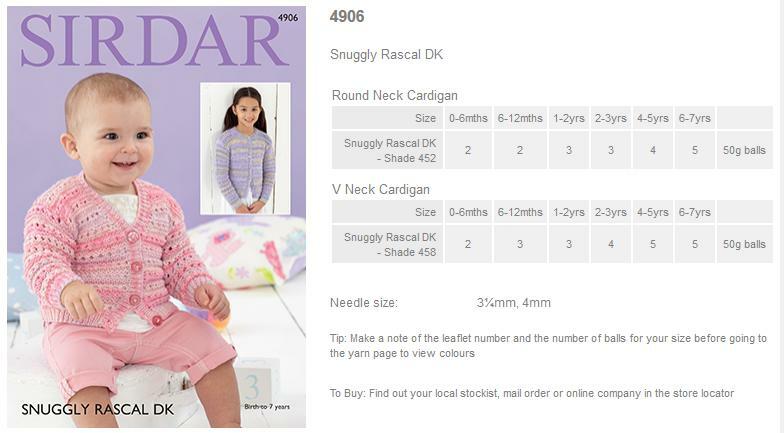 4906 - Round Neck Cardigan and V Neck Cardigan using Snuggly Rascal DK Leaflet with designs for a Round Neck Cardigan and V Neck Cardigan using Sirdar Snuggly Rascal DK. 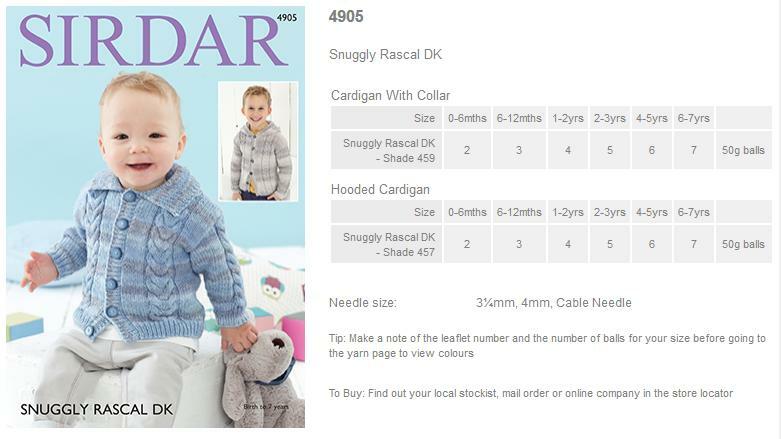 4905 - Cardigan with Collar and Hooded Cardigan using Snuggly Rascal DK Leaflet with designs for a Cardigan with Collar and Hooded Cardigan using Sirdar Snuggly Rascal DK. 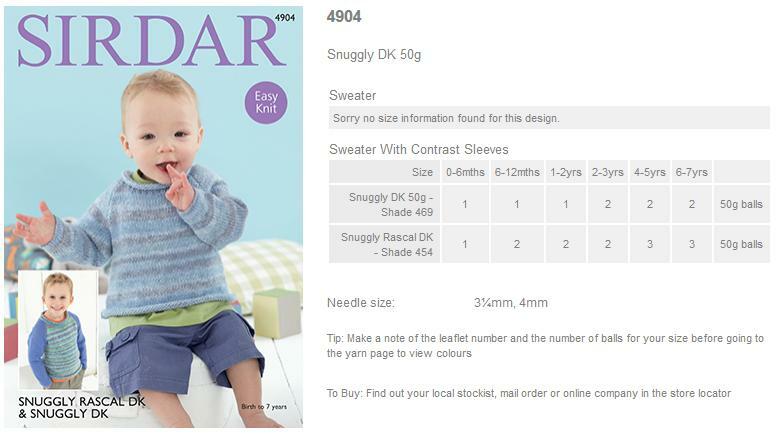 4904 - Sweaters using Snuggly Rascal DK Leaflet with designs for Sweaters using Sirdar Snuggly Rascal DK. 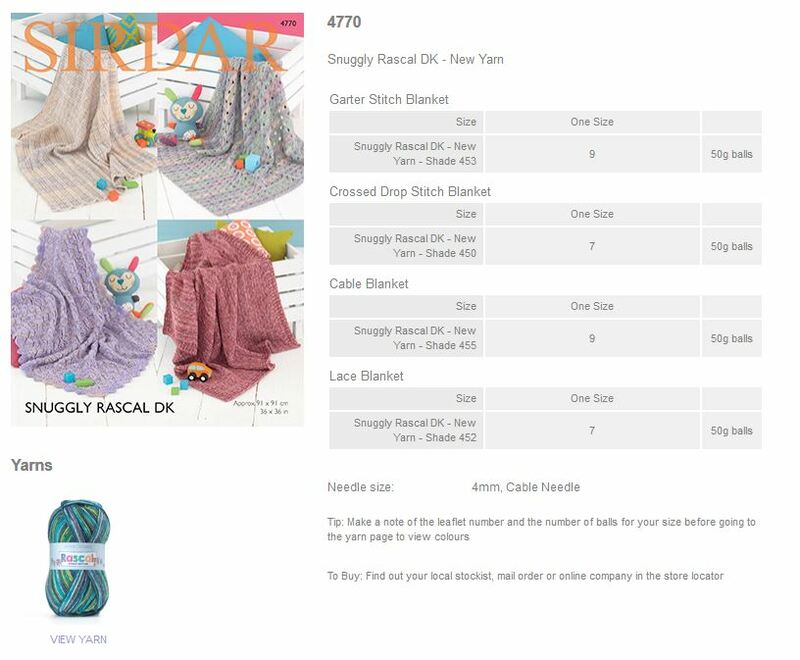 4770 - Blankets using Snuggly Rascal DK Leaflet with designs for blankets using Sirdar Snuggly Rascal DK. 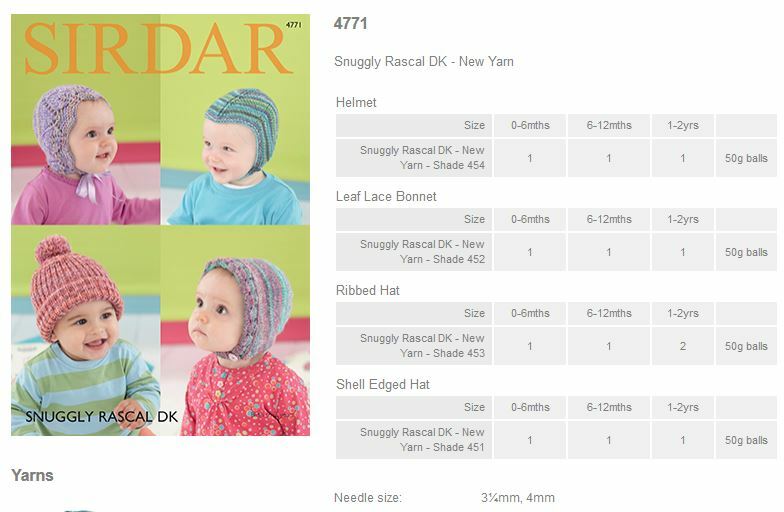 4771 - Helmet, bonnet and hats using Snuggly Rascal DK Leaflet with designs for helmet, bonnet and hats using Sirdar Snuggly Rascal DK. 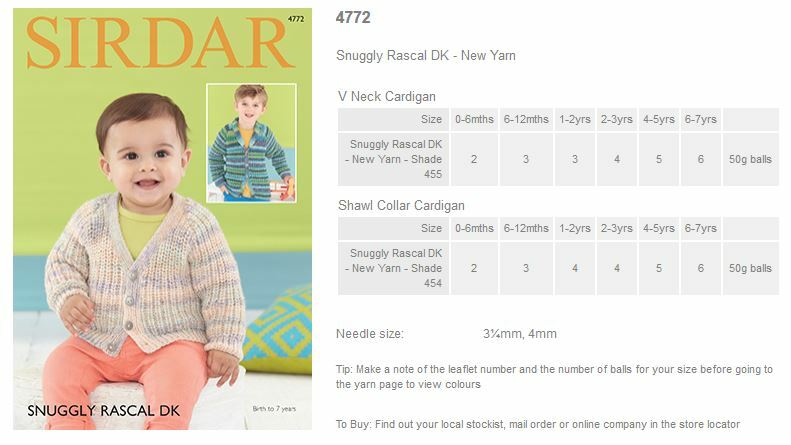 4772 - V neck cardigan and Shawl collar cardigan using Snuggly Rascal DK Leaflet with designs for a V neck cardigan and Shawl collar cardigan using Sirdar Snuggly Rascal DK. 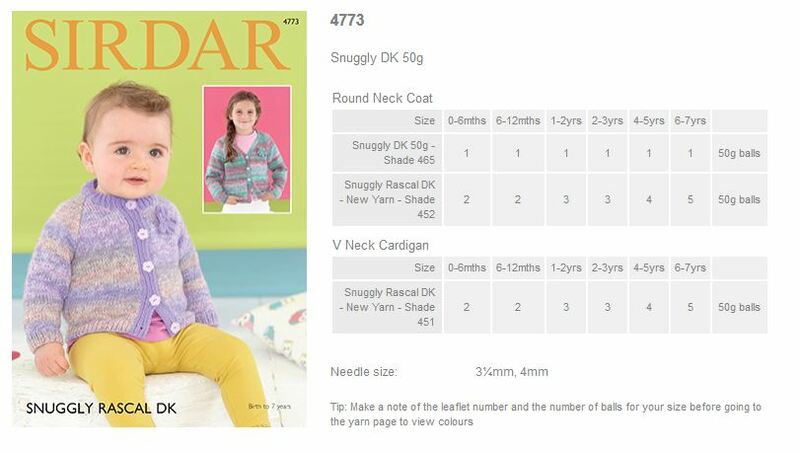 4773 - Round Neck Coat and V Neck Cardigan using Snuggly Rascal DK Leaflet with designs for a Round Neck Coat and V Neck Cardigan using Sirdar Snuggly Rascal DK. 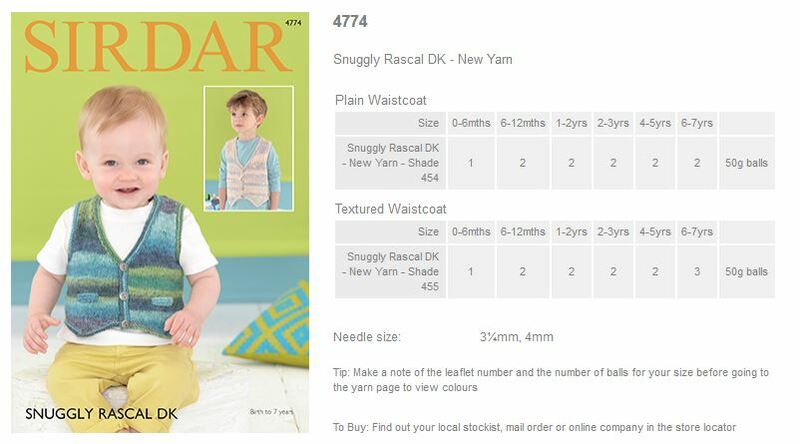 4774 - Plain and Textured waistcoats using Snuggly Rascal DK Leaflet with designs for Plain and Textured waistcoats using Sirdar Snuggly Rascal DK. 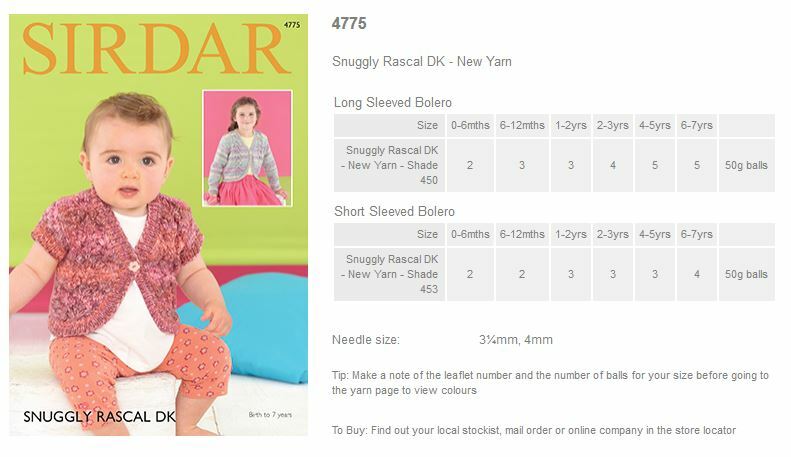 4775 - Long sleeved boleros using Snuggly Rascal DK Leaflet with designs for Long sleeved boleros using Sirdar Snuggly Rascal DK.